A Unique experience buy your food and Beverages @ the Rockwood Theatre (barnyard style) and watch this acclaimed Bollywood Dance Drama TUBELIGHTIE. A Tear jerker , hilarious comedy and amazing dances. Dialogue is in English. From golden olders to the latest Bollywood hits will leave you asking for more. 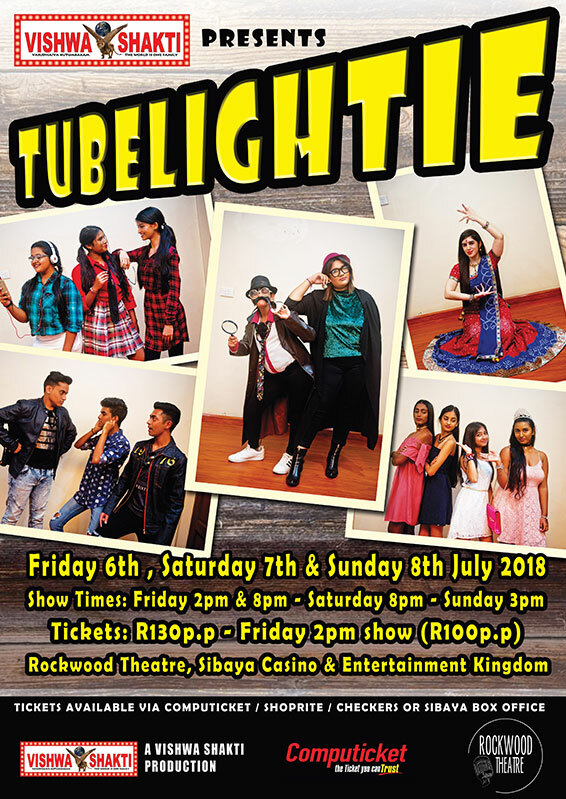 A family show not to be missed. A cast of over 60 will amaze you with their amazing dance moves. Get your tickets from Computicket or @ Shoprite Checkers. Call 0829299609 for further details.